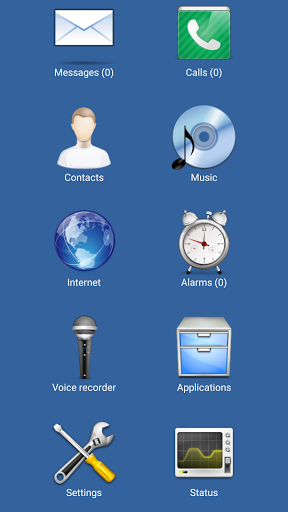 OpenSource launcher for blind people for using smartphones and tablets. 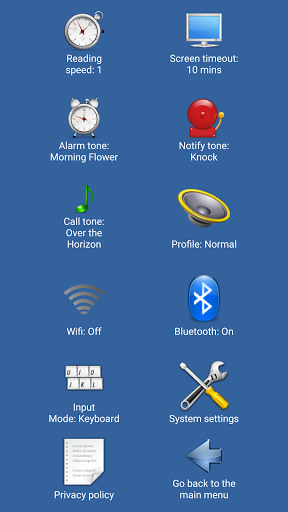 The launcher has a voice guide that tells the user everything that it's happening in the device (screen off/on, screen rotation, incoming call, etc.). This launcher is compatible with TalkBack. - Use the voice recognition system with up to 10 possible interpretations to select from (may require Internet). - Use the touchscreen and slide up and down through characters and symbols and slide right to input the selected character. - Use the traditional software keyboard with TalkBack activated. NOTE 1: In Android 5.0 (Lollipop) or higher, you have to set the way you want to answer a call by going to Settings/Accessibility/Answering/ending calls. NOTE 2: If you have a device with Android 4.4 (KitKat) or higher, you must set Blind Communicator as your App for messages. To do so, you must go to Settings/Default applications/Messages and then select Blind Communicator from the list. Also, you will need a TTS software installed in your device in order to this App to work. You can install, for example, Google TTS for free at https://play.google.com/store/apps/details?id=com.google.android.tts.